Will.i.am accessorised with some bright gold glasses on stage in front of 16,000 fans. 9. 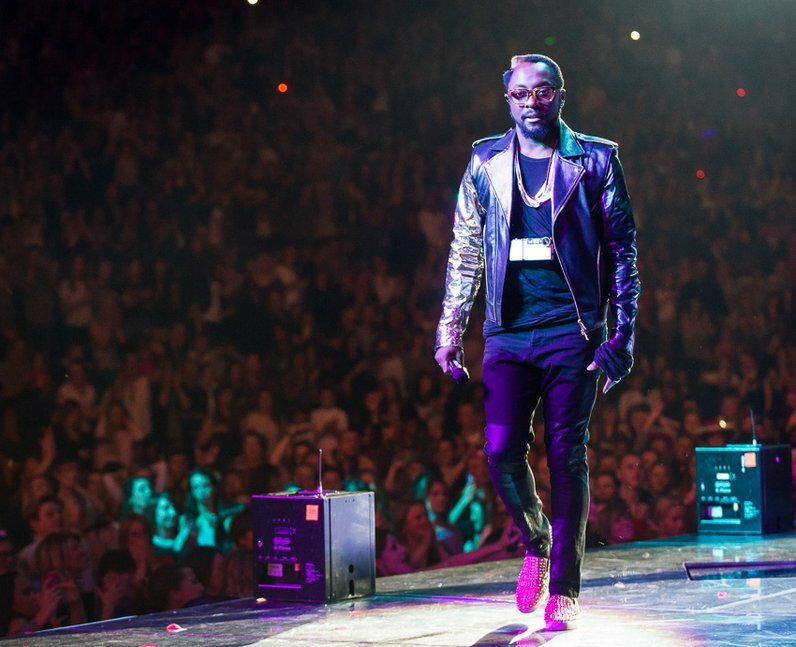 Will.i.am accessorised with some bright gold glasses on stage in front of 16,000 fans.